with tank capacity of 11 liters fresh water and 12 liters dirty water tank. weight of the machine 45 kgs. 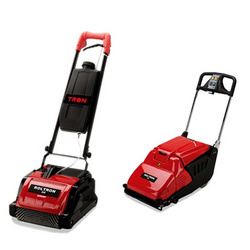 Our company has gained immense accolades in the field of offering Industrial Scrubber Dryer to the clients. This product is tested on defined parameters by quality controllers. Industrial Scrubber Dryer is highly acclaimed by the patrons all across the country. Offered range is available in several specifications.